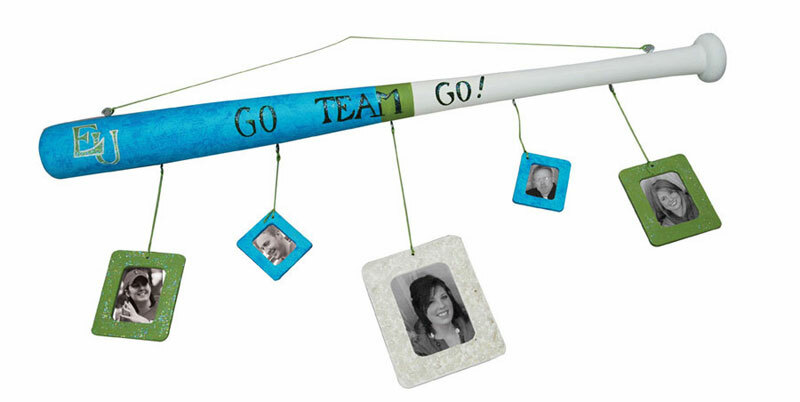 Any dad, grandpa, uncle or even son would love this creative DIY photo gift. 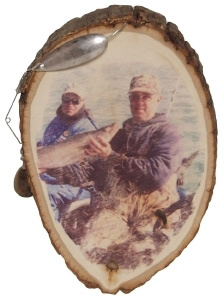 With a wood look and fishing theme, its a gift that will make a statement! 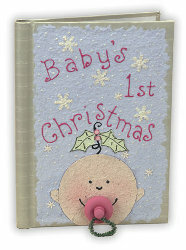 Make baby's first Christmas special with this adorable hand crafted album! The new parents will appreciate the effort and the baby will someday know just how much you cared with this creative and personal DIY photo gift! For more DIY craft ideas, visit FaveCrafts! They feature crafts for every occasion, holiday and event so there is something for every DIY craft lover!